AMBASSADOR (R) OF JAPAN Datuk Issei Nomura was born in Hiroshima in 1940. 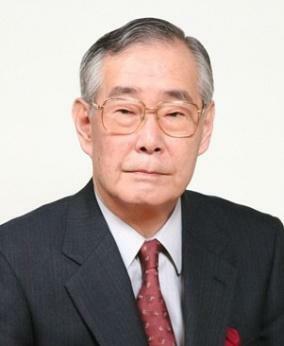 He studied Law at the University of Tokyo and upon graduation in 1963, he joined the Gaimusho. For 27 years up to 1990 in MFA, he had served at the Japanese Embassy in UK, Soviet Union, Denmark and USA. In 1991, he was given a special assignment as Director, Office of the Draft Legislation on Peace-Keeping Operations in the Prime Minister’s Office. Then he was promoted to Director-General, European and Oceania Affairs Bureau, MFA and in 1995 he was appointed Ambassador to Malaysia. Subsequently, he was appointed Ambassador in Charge of Okinawan Affairs, Ambassador to Fed. Rep. of Germany and then to the Russian Federation. From 2006 to 2010, he was the Grand Master of the Household of the Crown Prince of Japan and then Special Advisor to the Imperial Household. In 2006, he was honored by the Government of Malaysia and awarded the PJN (Panglima Jasa Negara) – hence his Datukship.